A world. In every single drop. Inside each drop of Plose Water are all the mountains of South Tyrol. All the sharpness of the Dolomites, the pureness of the uncontaminated environment and all the passion of those who have been cultivating and respecting this land for thousands of years. So when you drink a glass of Plose water, BioPlose juices and iced teas, or Plose Vintage drink, you won’t feel like you’re just quenching your thirst, you’ll feel like you are making a little trip to our mountains. Plose springs are located on Mount Plose in Alto Adige, about 20 km from Bressanone. They come from a spring to 1870 meters above sea level near Puez natural park in the Dolomites, proclaimed a UNESCO World Natural Heritage site. The spring is fed by a dense network of long channels hidden at a great depth which serves to protect them, ensuring the water’s distinctive purity and quality. Our relationship with the mountains is at the basis of everything we do. This relationship is based on respect before anything else. It’s a respect that we have always had for our land, for nature, for people and for the genuineness of the good things in life. Alto Adige is home to thousands of years of human history, and the Dolomites are a UNESCO World Heritage Site. Bressanone, its mountains and its products are an undeniable pearl. 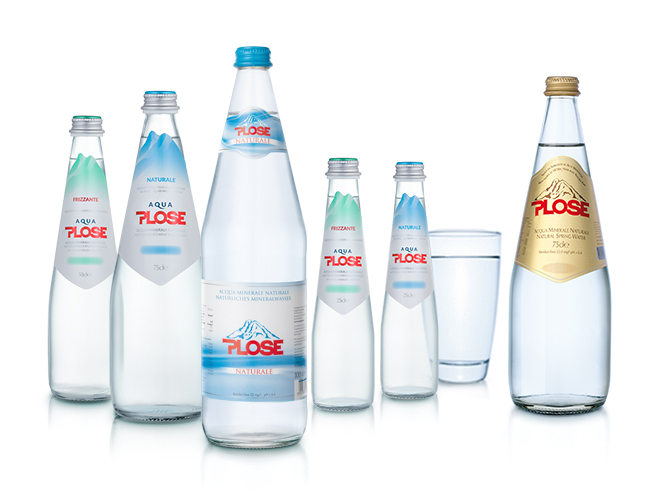 Plose mineral water is qualitatively some of the best water in Europe. It is Bressanone’s most widespread product. Distributed throughout Italy and abroad, it helps to capture the picture of quality and authenticity that has always characterized our land. Bringing over 5000 people every year to visit the factories, our spring is a beautiful destination for tourists who drink Plose water all across Europe. To preserve everything, a Respect for Springs Zone was created around the spring. Fonte Plose has committed to preserving this area for 60 years with constant maintenance and careful control of the territory. Our task, as individuals and as a company, is to safeguard our heritage and, where possible, improve it so that everyone can enjoy our treasured products, worldwide.